1. A personalized barrel to age his favorite whiskey at home. 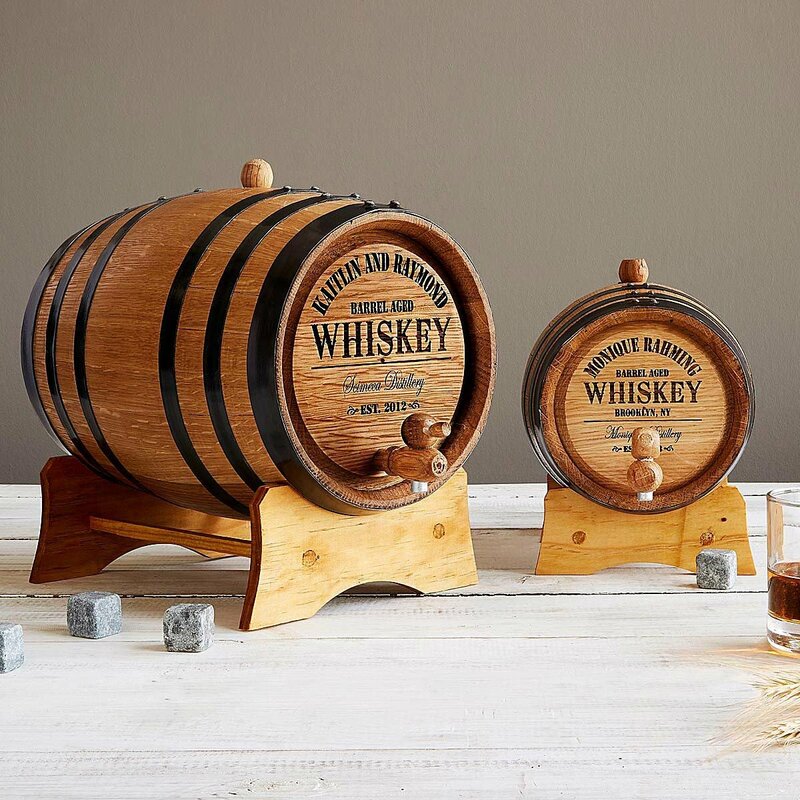 These miniature oak barrels are just right for aging spirits. 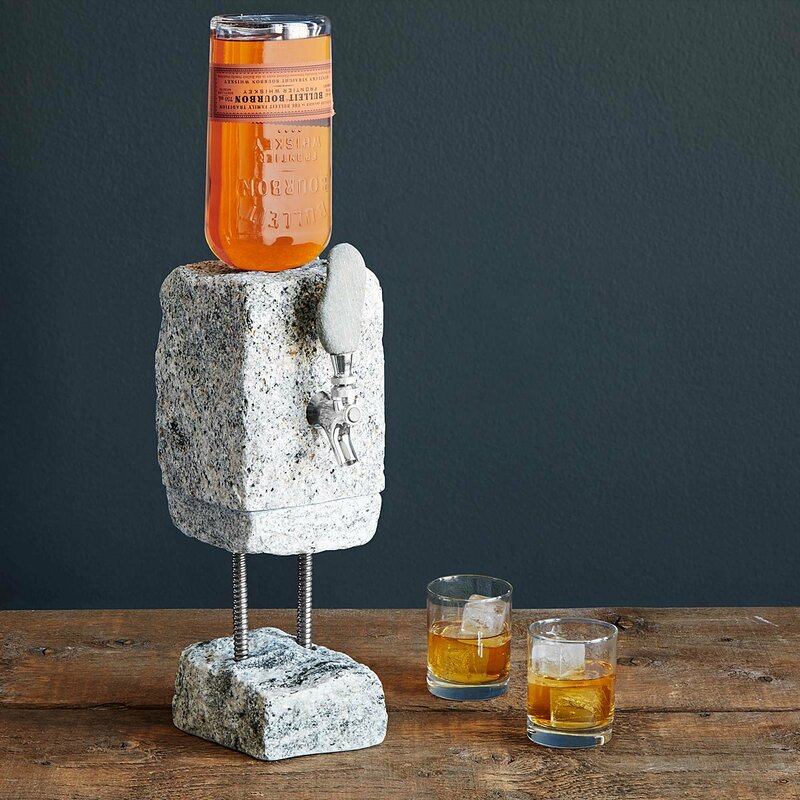 Engraved with his name (or both of your names, if you’d like), it’s a personal way to make his favorite drink extra special. 2. 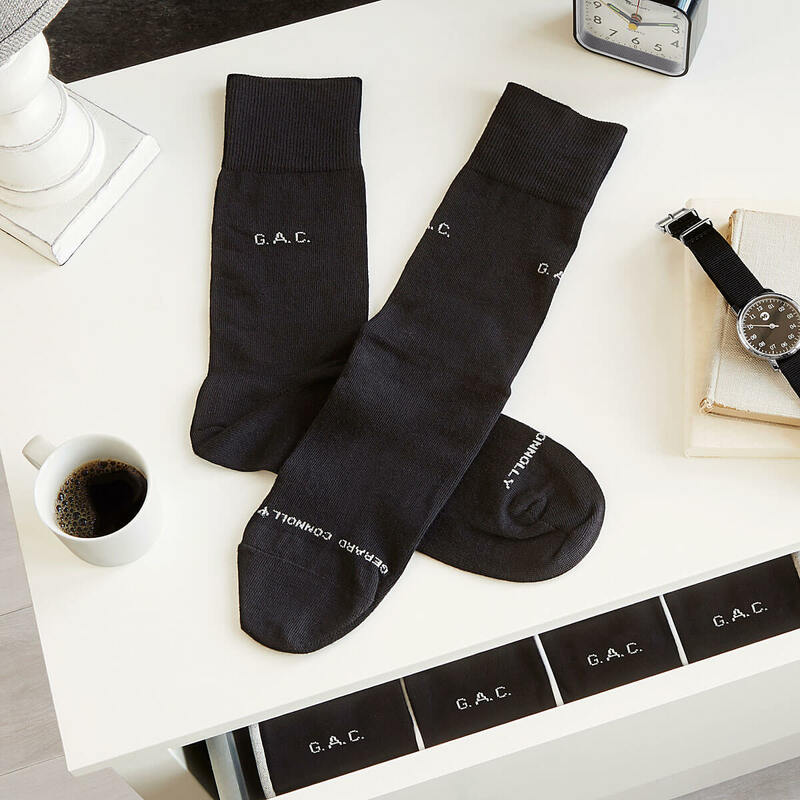 Socks adorned with his initials. 3. A bottle opener made from a used-on-the-ice NHL puck. If you’re his first love, but hockey comes in second, he’ll adore this bottle opener. 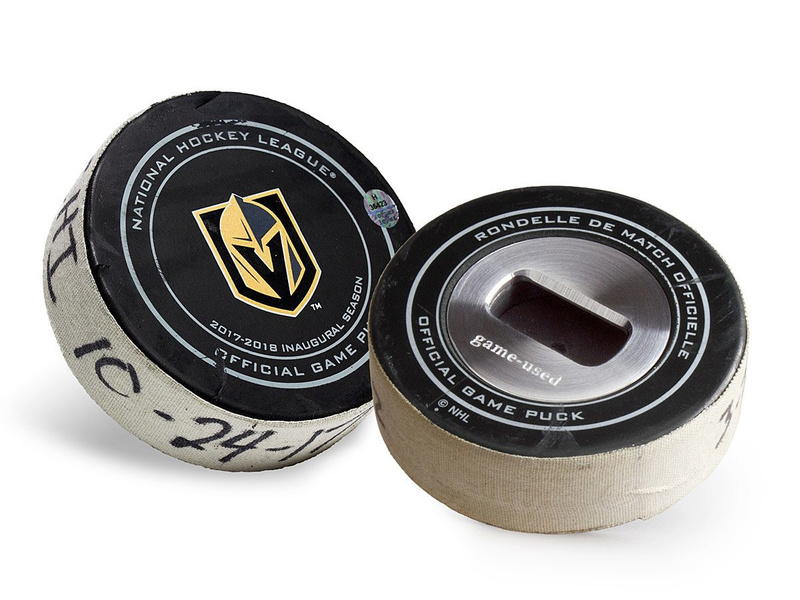 It’s made from a retired puck that hit the ice in an actual NHL game. 4. This clock has a hidden talent: It’s also a reading light. Does he read in bed while you’re trying to get shut eye? 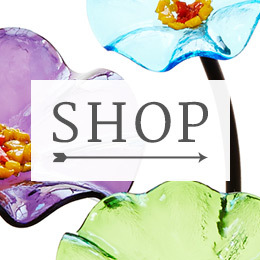 This little lamp is bright enough to illuminate the page without lighting up the whole room. A quick flip and it’s a digital alarm clock. 5. A solid addition to his home bar. 6. 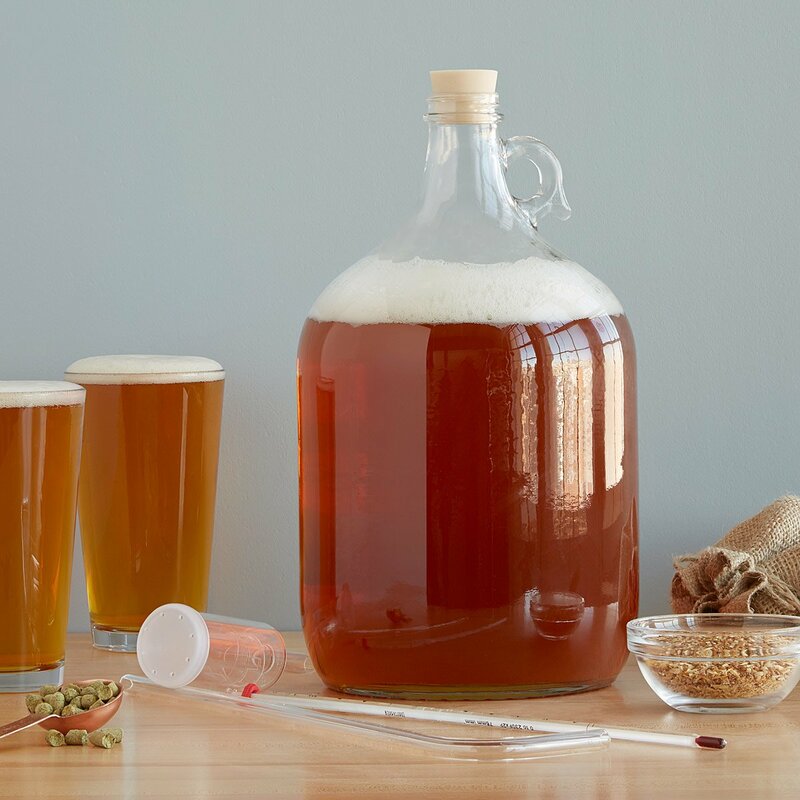 This kit lets him take the leap from beer lover to beer brewer with ease. Everything he needs to brew his own tasty IPA at home is right in this kit. 7. Little lights to make his nighttime runs brighter. We recommend these clip-on lights that attach right to his running shoes. If you choose to write “Because you’ve been running through my thoughts all day” in his card, that’s on you. 8. 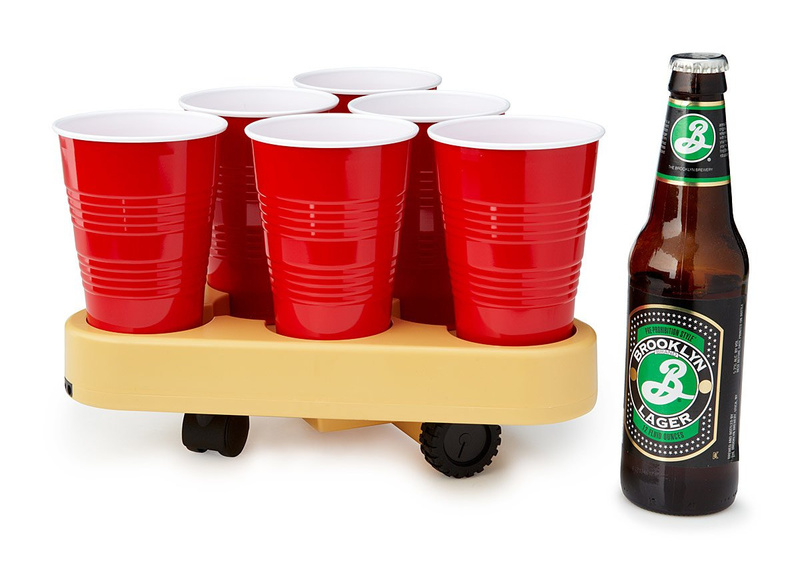 A robot that makes beer pong extra challenging. He’s a beer pong pro? Set up those cups on this little robot and watch ’em roll around the table for some next-level fun. 9. A portable cooker that’s powered by the sun. 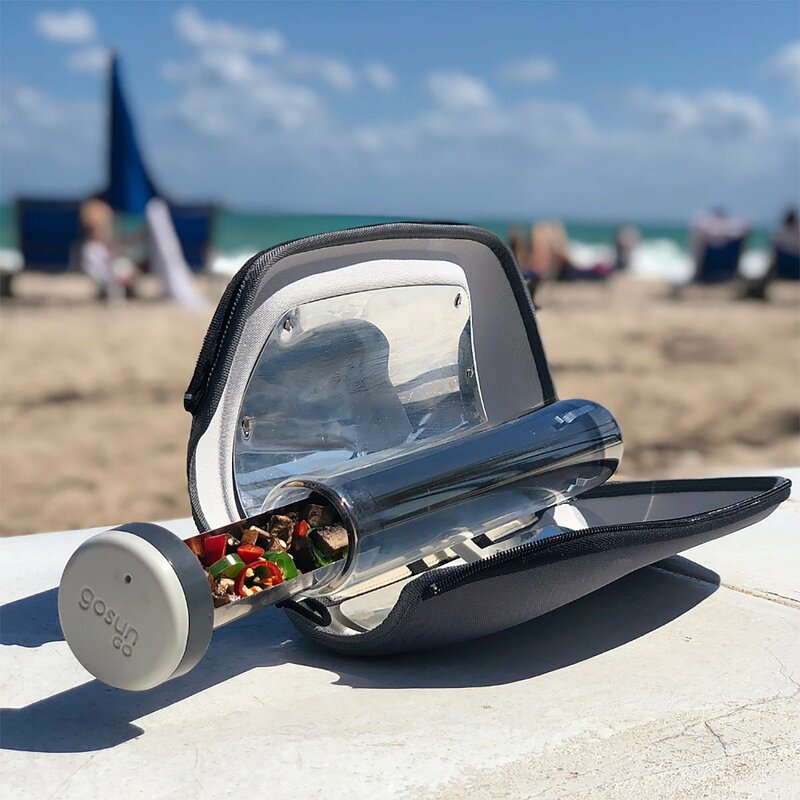 A must-have for outdoorsy dudes, this handy little cooker heats food and water without requiring fuel (except for sunshine). 10. This detailed desktop model lets him explore the moon. One small step for a man, one giant leap for spending hours using an augmented reality app to learn cool stuff about the moon. 11. 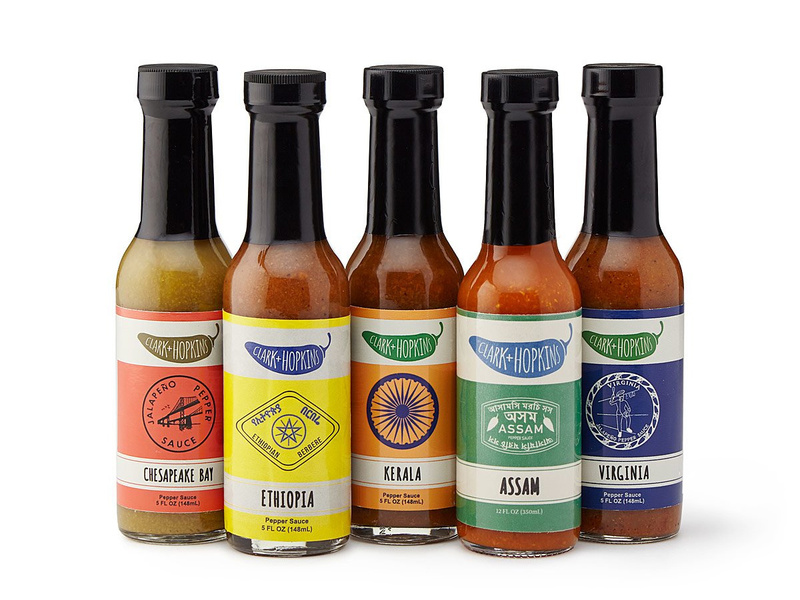 Five hot sauces featuring a variety of globally inspired flavors. This set of pepper sauces is like an international heat wave. Each bottle packs a different delicious punch. 12. A brie baker that’s fueled by a tiny flame. 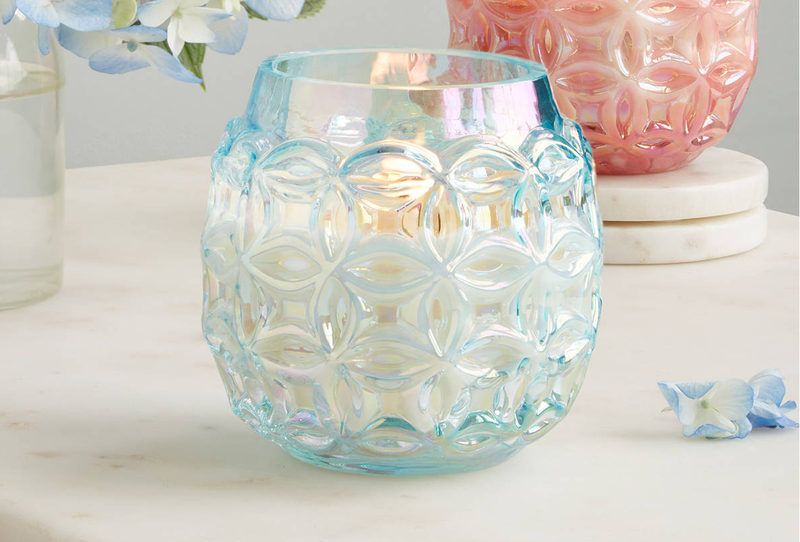 How do you make candlelight even more romantic? 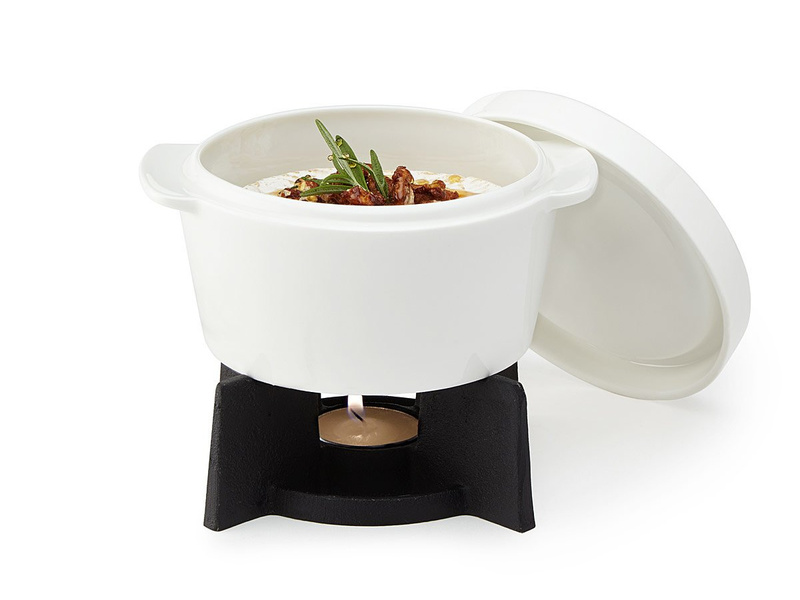 Use it to make cheese nice and melty and you’ve got fondu for two. 13. These glasses are just the thing for post-run beers. Maybe he runs long distance. Maybe he just likes to get in a morning jog. 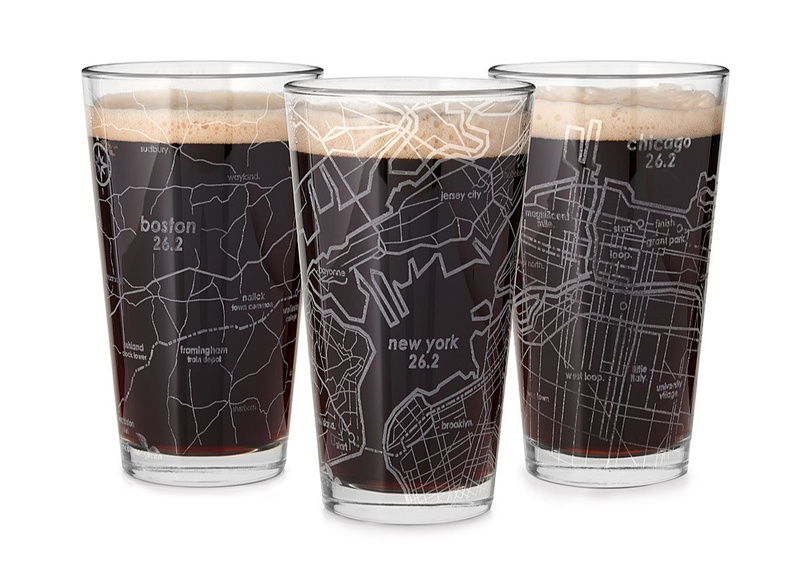 Either way, if he’s into drinking a cold one from time to time, he’ll enjoy these glasses etched with actual marathon maps. 14. An oak tumbler that brings out whiskey’s complex flavors. 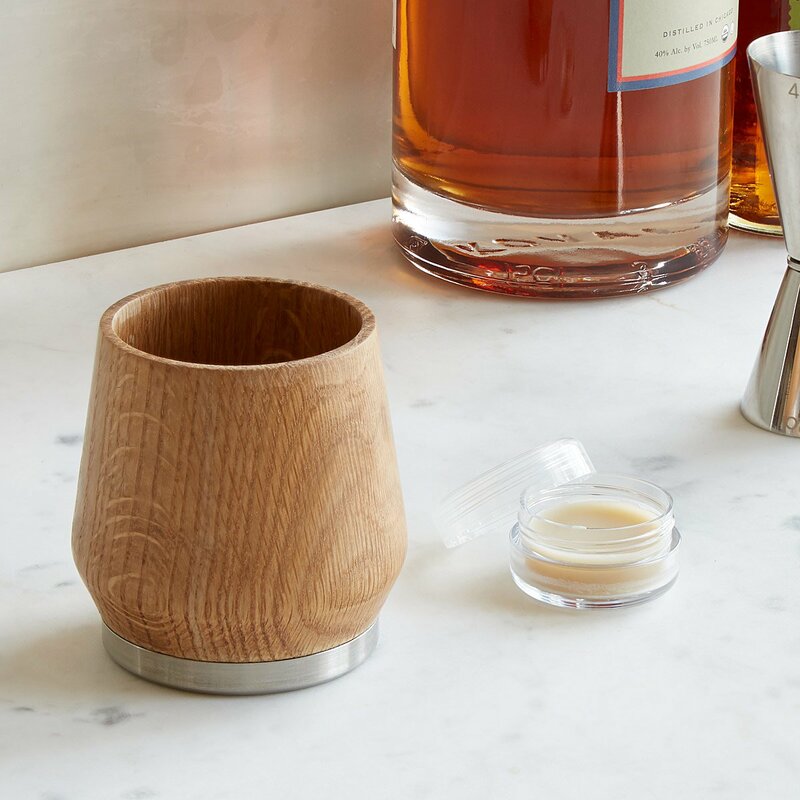 Carved from a single piece of oak, this tumbler is designed to make his whiskey even tastier. 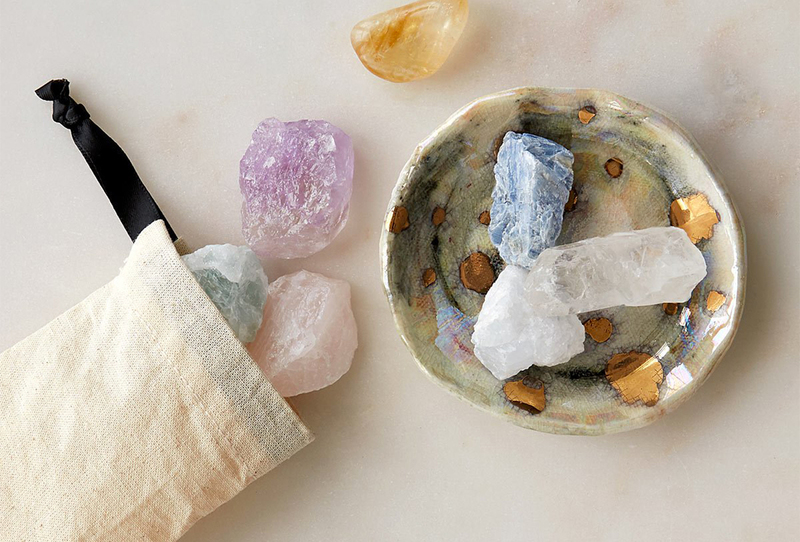 Its wide base opens up the spirit’s aromas and the honey wax lining brings out subtle flavors. 15. A stylish place to stash his shells. True love isn’t about putting your partner on a pedestal. That doesn’t mean he can’t put his favorite snack on one. 16. 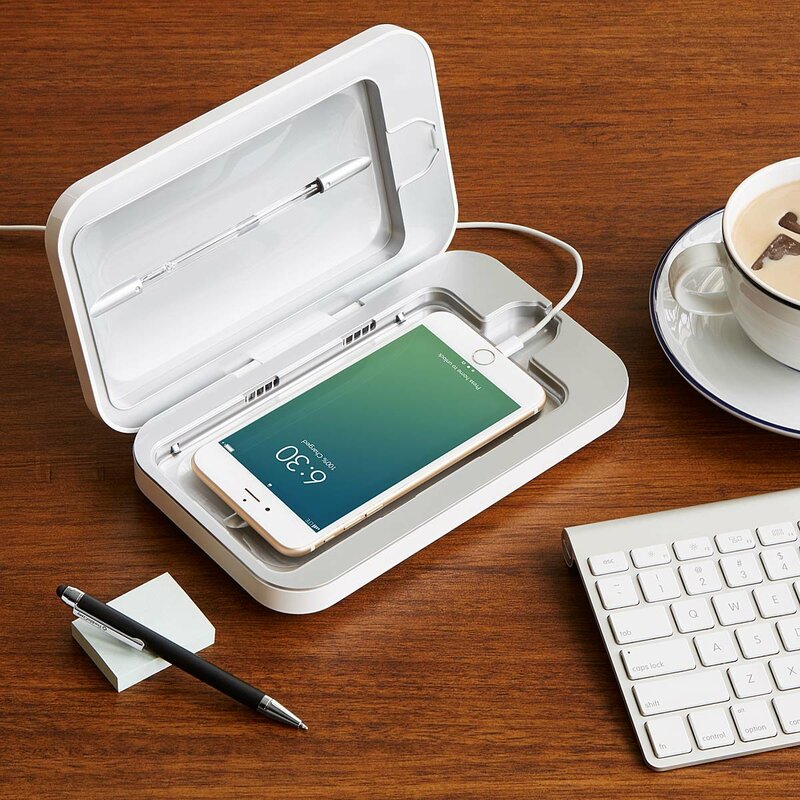 This sanitizer helps keep his phone germ free. 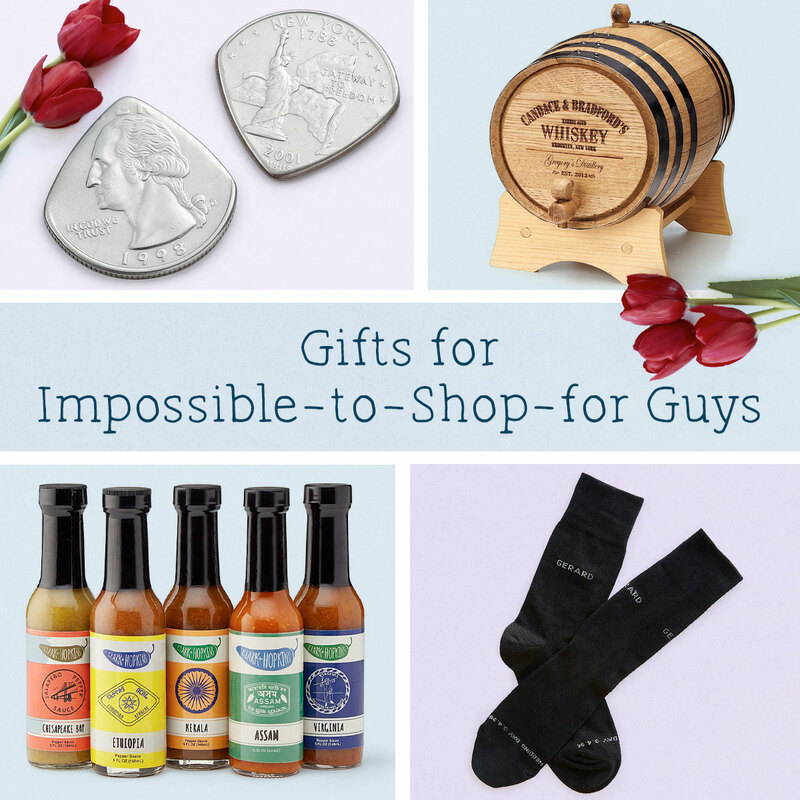 All the mushiness around Valentine’s day might make some grounded guys feel a little queazy. So can germs hiding on his phone. But he won’t have to worry about those, thanks to this device that zaps ’em with UV light. 17. A pen that doubles quintuples as a multi-tool. That pen he accidentally pocketed at the bank is about to be demoted. 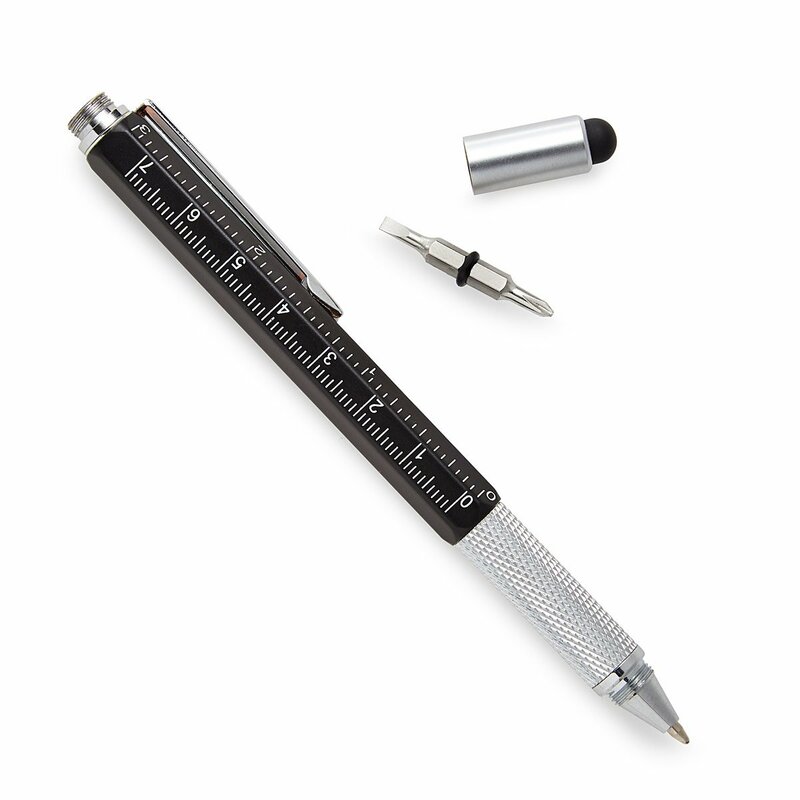 This one’s fully loaded with a level, screwdriver, ruler, and stylus. 18. 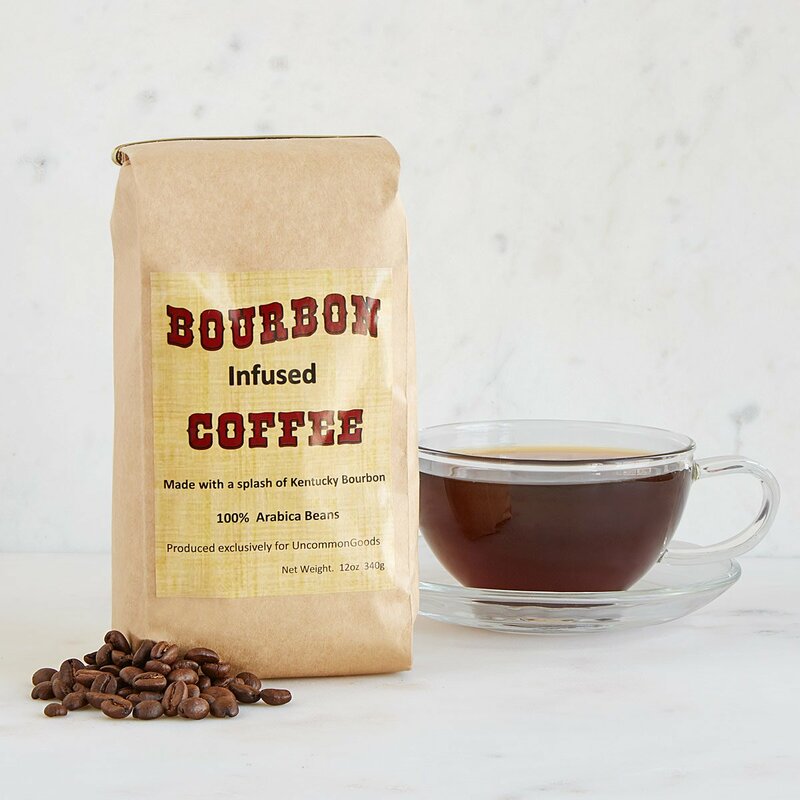 Beans that blend Arabica coffee and a little bourbon kick. 19. 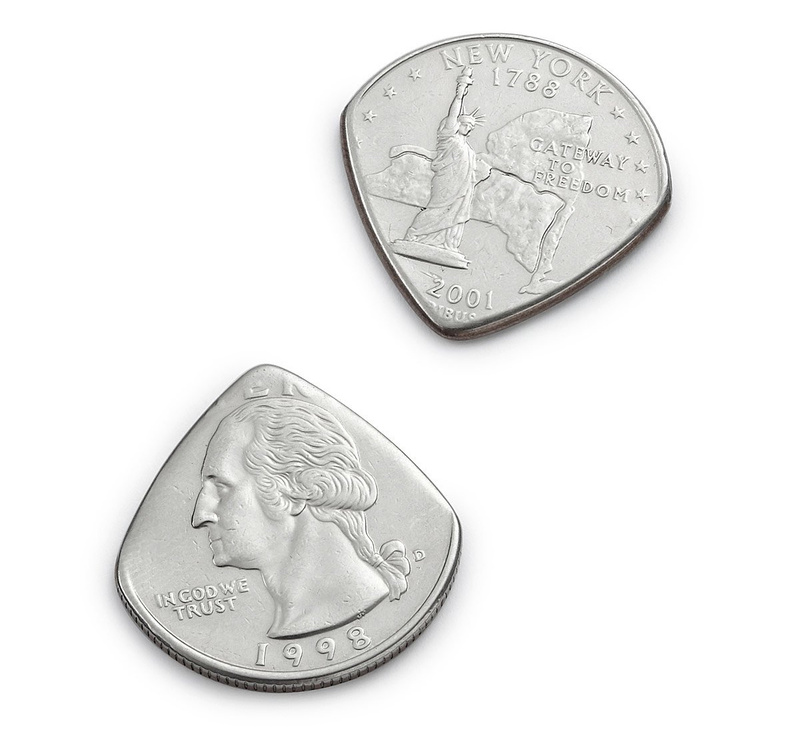 A pair of picks made from special quarters. One is made from your choice of state quarter, the other is a quarter from a special year. Together they’ll make beautiful music with him.